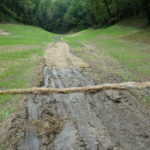 To mitigate this problem, a contractor and Fontenelle Forest staff installed a storm water piping system, stabilized the hollow’s steep grade, and seeded the area with native grasses. Three weeks after the project was completed, the area experienced its first test when a severe storm blew in. We are pleased to report that after 5.5 inches of heavy rain, no damage to the site occurred. The piping worked and the grasses held—victory! 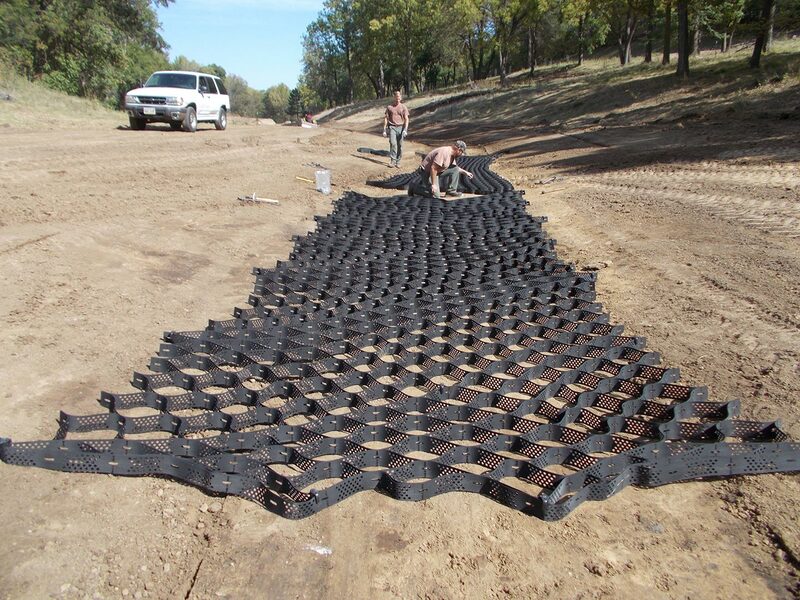 This project was made possible through a grant from the Nebraska Environmental Trust and funds from the City of Bellevue, and the Papio-Missouri River NRD. 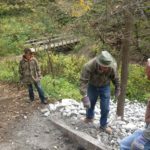 Those who have hiked at Fontenelle over the years have witnessed the increasing erosion in Childs and Mill Hollows. 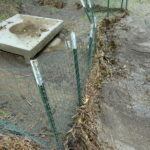 Trails have been undermined, foot bridges washed out and siltation on the floodplain has encouraged the spread of invasive reed canary grass at the expense of jewelweed and other native wetland plants. 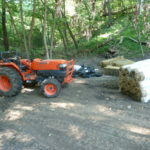 Until the mid-1960s, most of the land between the western border of Fontenelle Forest and Bellevue Boulevard was rural farmland and orchards. However, as Bellevue grew, these rural acreages became attractive for development, leading to high land prices that prevented Fontenelle from expanding into the area. 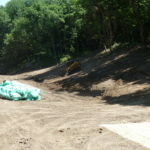 Residential development quickly changed the hydrology of the watersheds, causing erosion, siltation, loss of water quality, and damage to wildlife habitat, as well as public safety issues in the forest and on adjacent land within Bellevue. 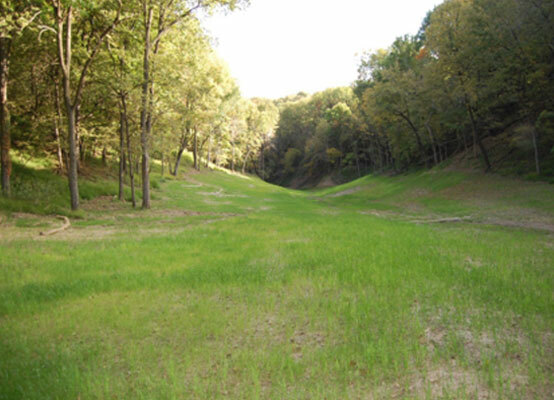 To address these issues, our staff organized the Bellevue Watershed Task Force in 2007 with representatives from Fontenelle Forest, the City of Bellevue, Papio-Missouri NRD, Sarpy County Roads Department, and the U.S. Army Corps of Engineers. 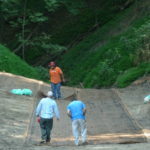 The U.S. Army Corps of Engineers conducted a Watershed Stabilization Study of the three watersheds most impacted by development. 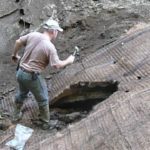 Coffin Springs Hollow was deemed the highest priority due to its extensive erosion. 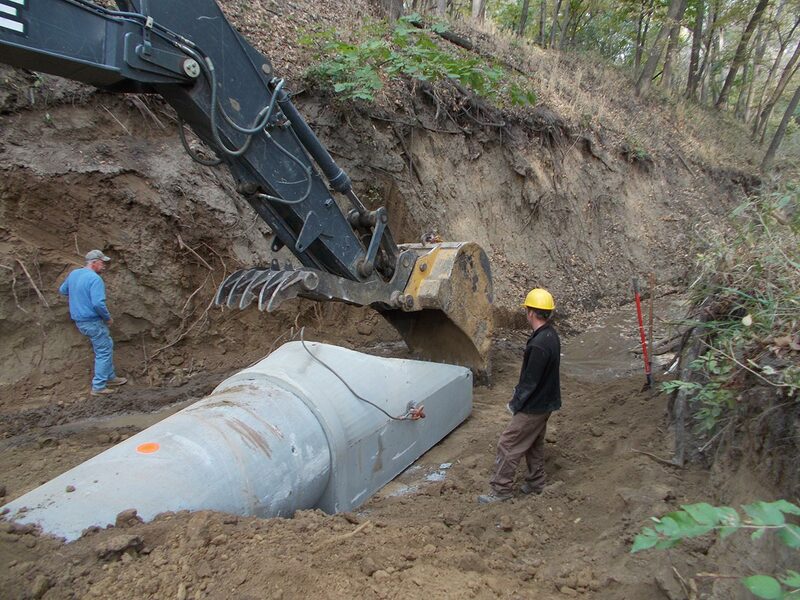 This study was funded through Section 22 of the Water Resources Development Act of 1974, a grant from the Nebraska Environmental Trust Fund and in-kind contributions from Fontenelle Forest, the City of Bellevue and the Papio-Missouri NRD.